Merrow Emblem Machine station for sewing and serging embems - Merrow Sewing Machine Co. Follow us on Twitter: Get news, specials & idle chit-chat. © 2010 Merrow, All rights reserved. 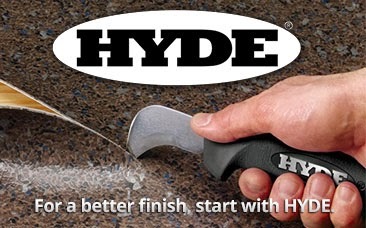 *Cannot be combined with any other offers or discounts. If you have any questions, please call 1-800-431-6677 or email us at sales@merrow.com. The Factory Refurbished M-3U Station. 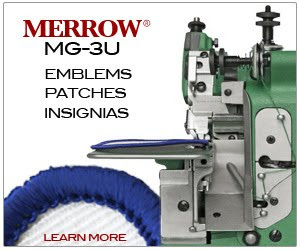 The Merrow M-3U is designed to sew the edge of emblems, producing the traditional Merrow Emblem Edge. The Emblem Station includes all of the equipment needed to get started sewing emblems. This line of factory refurbished equipment is built on the assembly line along with all new Merrow products. In 2008 Merrow began selling a factory refurbished model of its industry standard M-3U. These Sewing Machines are hand built on Merrow's assembly line in Fall River,MA and include less than 6% reconditioned parts. They are effectively new sewing machines: tested and sewn off after assembly with the same rigorous standards Merrow uses for all sewing machines built in Fall River, MA. The Refurbished M-3U carries the same warranty as all new machines. It is provided by Merrow: 'to reduce the overall cost of owning and operating Merrow Sewing Machines without compromising performance'. Please call Merrow if you have any questions or concerns about the refurbished line of machines.